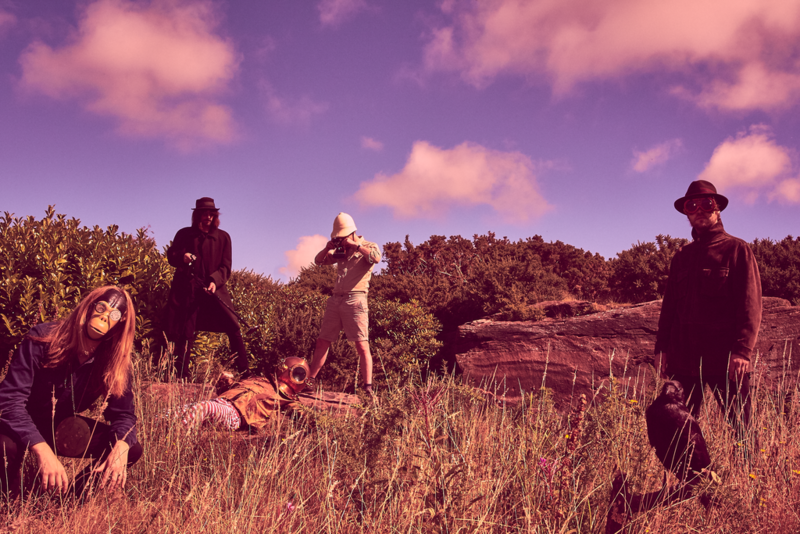 In the second part of our exclusive extracts from the diaries of The Coral’s Nick Power, the band find themselves at a manic motorcycle stunt show, deep in the Derbyshire hills. It’s less than a week until The Coral‘s second homecoming of the year. Having topped the bill at Sound City this summer, where although blighted with a power outage halfway through the set, they eventually rose triumphant, back on Mersey turf. Great as the set was, there’s still a lingering sense of just what heights they could have hit were it not for the technical hitches. At The Olympia, this Saturday, December 10, we’ll find out. There’s plenty of clues, of course, as to how the weekend will shape up for the band, not least a relentless summer on the road. The gigs have been as well-received as their new album, and last month we were lucky enough to hear the exclusive inside story, courtesy the band’s Nick Power‘s personal tour diary. That first extract was a yarn of post-gig mayhem in the depths of inner city Birmingham. In our second extract, however, it’s a distinctly more pastoral adventure, as the band find themselves lost in the winding hills of the Peak District, in search of a festival, then immersed in the carnivalesque ‘wall of death’. Before the ascent, we’d come off the motorway somewhere near Stoke I think, but it was hard to tell through the fug of a three-day hangover. I’d been married only a few days earlier and the aftermath of the party was still etched into us all. It’s decided there and then that wedding celebration was a cross between The Deer Hunter, Bridesmaids, and Leyland Palmer‘s exorcism dance in Twin Peaks. We all feel it today. The ache of hollow, tired bones. At the last reaches of the motorway, we zoomed past an Amazon storage warehouse, which stood like some odd kind of Cathederal, fortressed by high, barbed walls. I’d never seen one before. It must have been five football pitches long. As we galumph through winding country lanes, a rolling mist descends suddenly, slowing us to a crawl. Visibility is reduced to about twenty yards as we begin a nauseating climb toward the Peak District. Upon arrival at the summit, we’re cast abruptly back into England. The mist clears for an open, grey cirrus sky, and rain falling down in sheets. We’re led to a row of corrugated containers that compromise our holding pens for the day. There’re gas heaters screwed to the wall, some beer, a bottle of rum and a bag of Walker’s each. The smaller, multipack ones with about three crisps in. The seal is broken on the rum within minutes. The sun comes out later, and we go out into the festival in search of food. Options include vans that go by the name of ‘Pie hard’. ‘Rave Burger’. ‘Wok and Roll’. I opt for the pie and mash, and it does a good job in my gut and then everything seems brighter suddenly. The crowd is building toward the huge main stage where we’re set to play, and there’s an impending sense of something about to burst. On my way back to the dressing room area, I spot a huge tent with a wooden cylinder loping out of the back. A sign says WALL OF DEATH: THE MOST THRILLING FAMILY ENTERTAINMENT IN THE WORLD. Inside the thing, I’m looking down on a bright red and yellow painted floor, all sideshow bright and carnival, the smell of diesel and engine grease- working smells- and I see five or six motorcycles parked in a perfect circle, each one seemingly from a different pre-nineteen-sixties decade. Herald. Triumph. Butoline. MobileGas canisters. It’s as if I’ve gone back to some depression-era medicine show. And then Wall of Death itself, enveloping the whole thing like some kind of solid oak bear pit. I talk to Chris, a lad around my age, who’s ushering people up the stairs. Big John, Jay Redmo and the rest of the band appear at the end of the surge. Chris wears a dirty grey fleece and walking boots, hands covered with oil, the hollows of his eyes dark with the remnants of fumes and midnight construction jobs in the pitch black. I point down at the pit. Half an hour later there is the slam of a huge door as the latecomers dawdle up the steel staircase. There are lads and dads here. Men in biker leathers. Couples who peer over the single steel wire safety barrier with trepidation. I feel the whole structure, the wood, the steel pins and metal roof beams move whenever I move. I can’t hear the ringmaster’s voice over the thud of outside music and the growl of Klara’s motorbike. He’s a young man in leather riding boots and I just about hear him introduce himself as Luke Fox, before Klara goes spinning about the wall behind him, and everything begins to shake. She’s followed by the bald man from earlier, who’s introduced, I think, as Ken Wolfe. He’s in some sort of custom buggy contraption, and the two riders are weaving between each other, swooping up to the security wire and back down again, and everybody inside gasps, takes a step backward, and there isn’t even the slightest sign of any safety gear. This is real entertainment. All the fun of the fair. 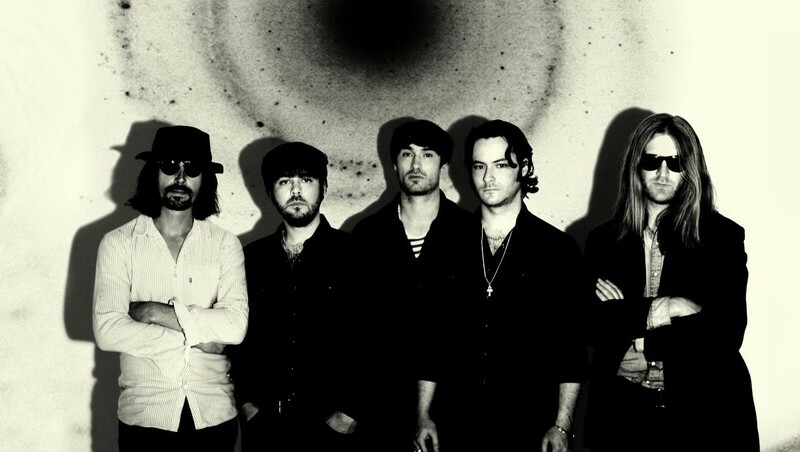 The Coral release new Holy Mountain Picnic Massacre Blues EP, on December 9 via Ignition Records. The four-track EP includes a remix by Andy Votel, entitled the Holy Mountain Picnic Massacre Blues’ De-Mix, new track After The Rain (Post WW3 Return Of The Super Turv Mix), Voyagers Vs The Coral remix of Connector and Unforgiven.